Since Stockman is apparently jumping into this race because Cornyn stabbed Ted Cruz in the back, so to speak, how will the junior Senator react to the news? Will he back the “establishment” candidate, even though Cornyn famously abstained from endorsing him when he had the chance? Or will he just sit this primary out? Or, better yet, will he throw all his weight behind Stockman? Now that would make things interesting. But for whatever reason Cruz has reportedly hinted he won't directly help conservative challengers unseat Republican incumbents. So there's that. 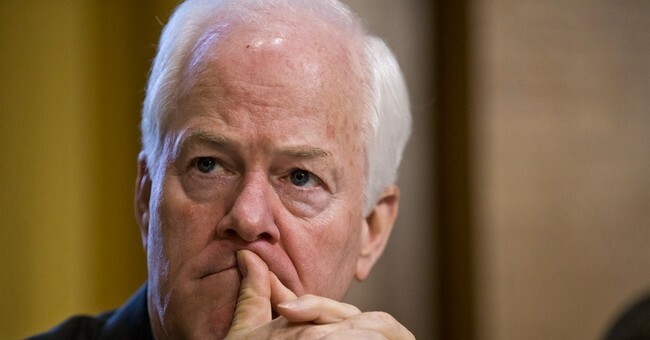 Cornyn, the GOP whip, spent four years running the party’s Senate campaign. He has $7 million in the bank and access to plenty more, whereas Stockman’s campaign is in the red, with $32,027 cash on hand and $163,010 in debt.